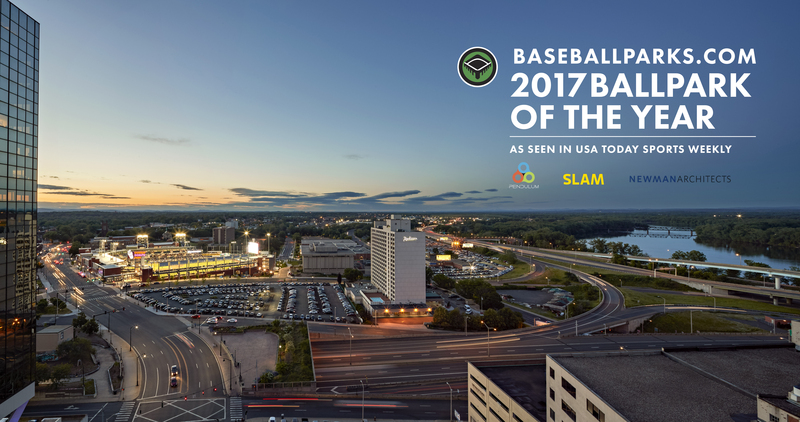 Baseball is and always will be America’s favorite pastime. 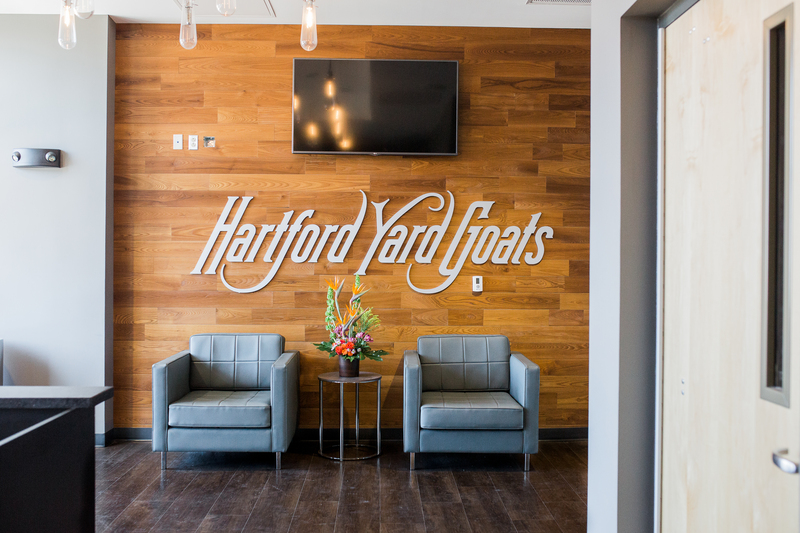 It represents everything we love about sports; enjoying the outdoors from spring through summer, an ice-cold beer, a few grilled hot dogs, and roasted peanuts. Let’s not forget about the precision of the perfectly thrown pitch and the unmistakable crack of the wooden bat when it makes contact with a leather-covered ball, which somehow influences us to set aside the anxieties of life and focus on what’s good. Whenever we’ve had to endure tough times as a nation baseball has always been there for us. This makes baseball more than just a game, it’s like emotional muscle memory, for some reason every time we pass through ballpark gates we immediately recall the good times. In all honestly, I think this concept of “emotional muscle memory” is why baseball purists are so passionate about preserving the look and feel of the old-time ballpark. 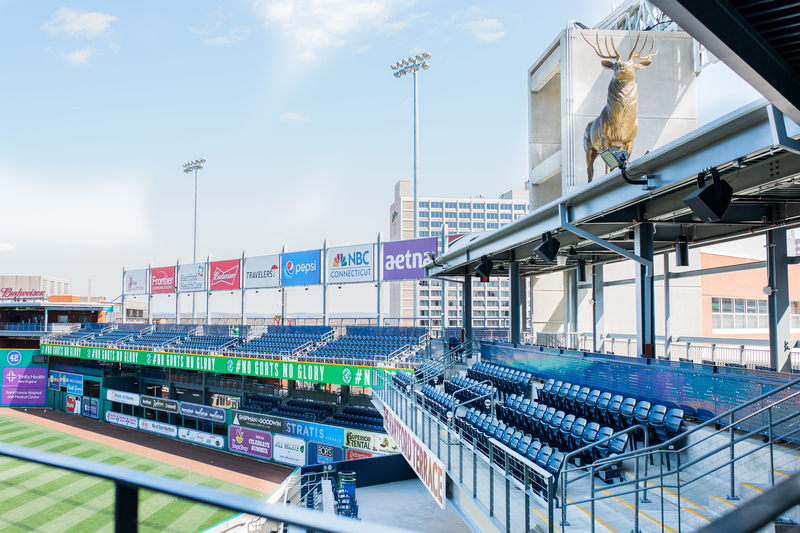 It’s there to remind us of the good times we had with our fathers and our grandfathers just two generations back, and we can’t forget that it’s no longer just a game for men and boys…Minor League Baseball (MiLB) has made it a family affair, which I think is a key to how we continue to evolve the fan experience in the future. 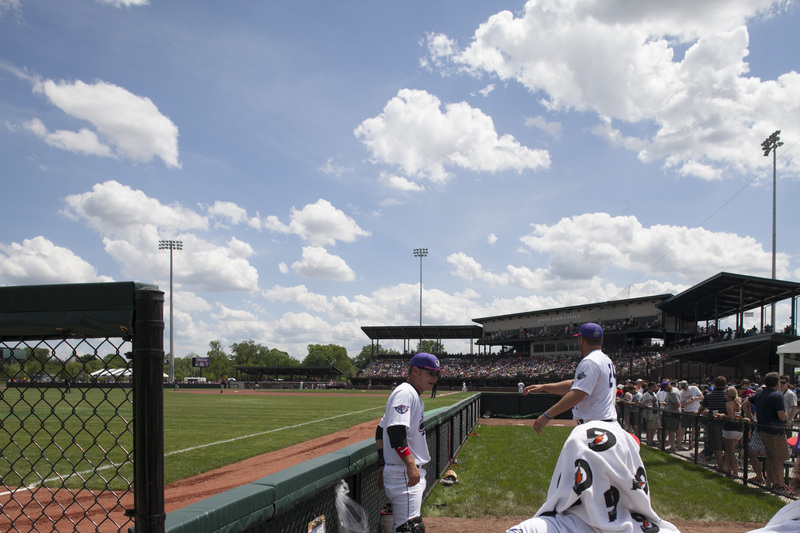 The demand for new and substantially renovated ballparks will continue to grow. However, the rules associated with securing financing to support this growth will continue to be a moving target; for the first time in a long time, creativity is not just on the shoulders of the architect. 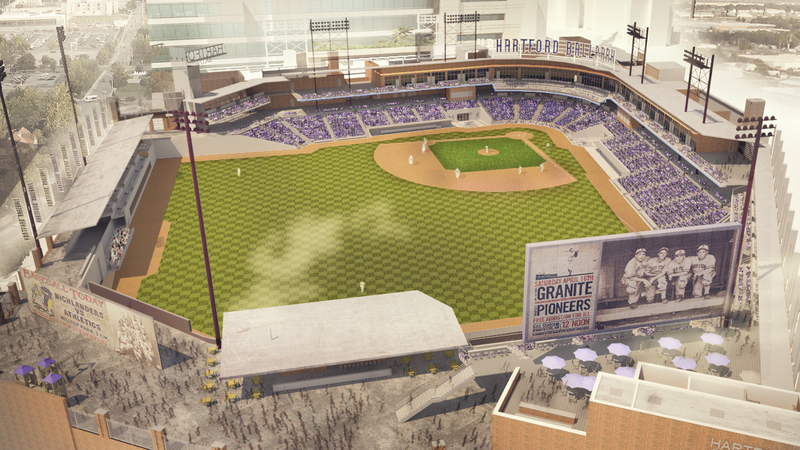 New ballparks are going to continue to develop where there’s population density. 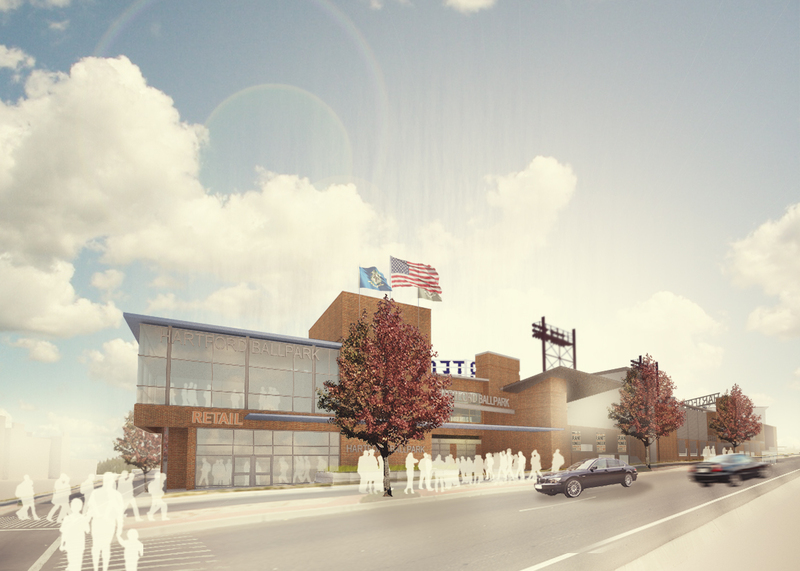 Although this is not a new concept, the real focus is going to be in the diversification of ballpark offerings. Without question ballparks are going to continue to get smaller which promotes environmental and economic sustainability. 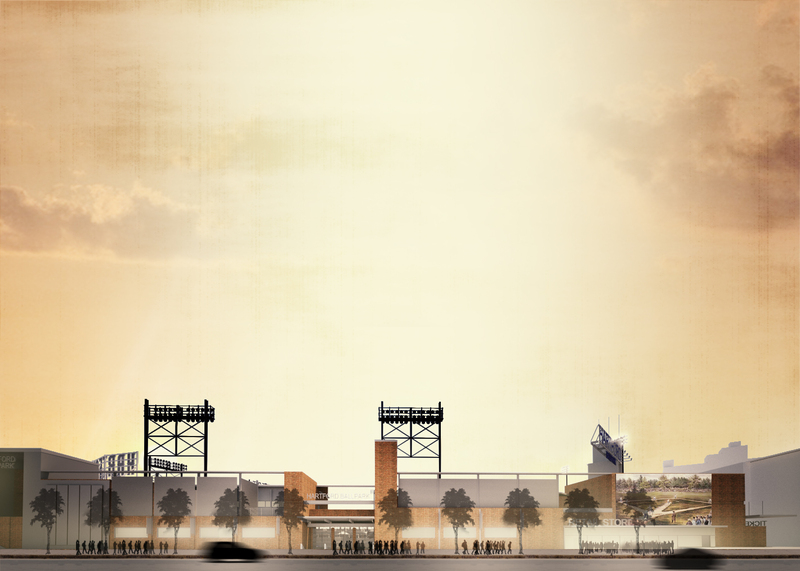 Intuitively smaller ballparks should warrant smaller construction costs, yet I don’t think it’s that simple. 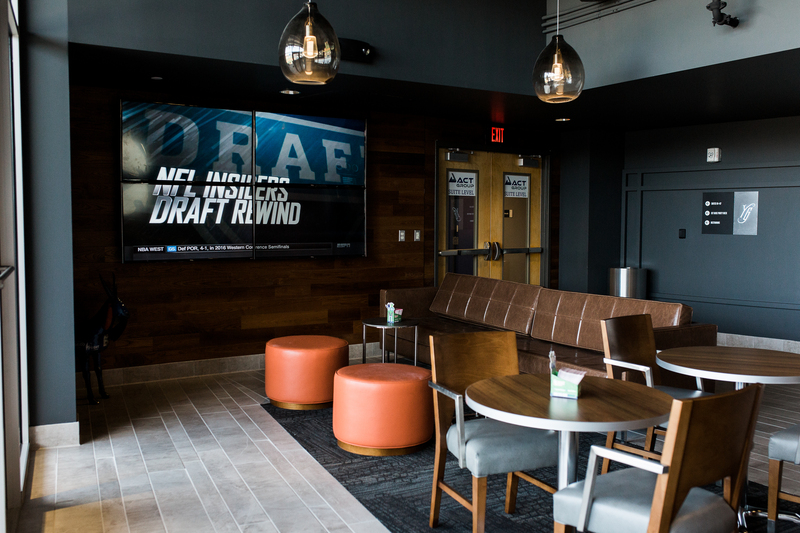 The reality is we are headed toward a much more aggressive “ballpark village” concept that significantly blurs the demarkation line between public and private space. This will cost money on the front end but will yield benefits with time for team owners and municipalities with true vision. 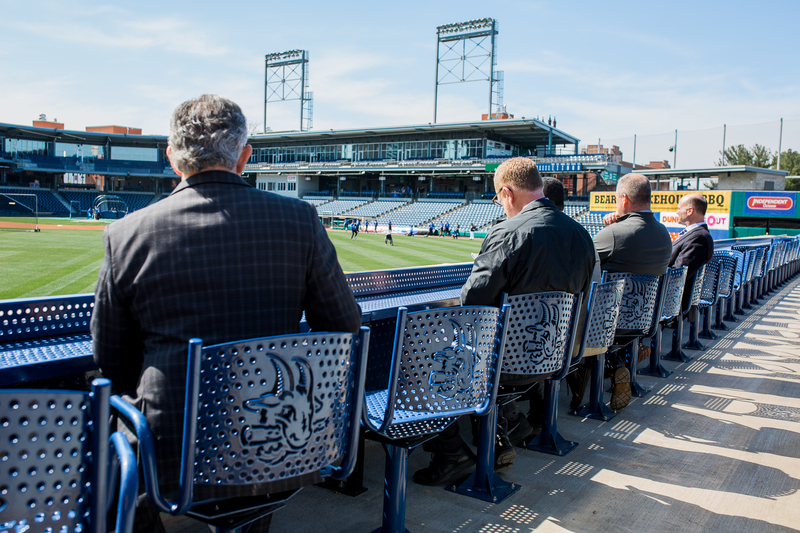 We’ve seen modest efforts in the regard in places like Fort Wayne, Indiana Parkview Field, with concourses open to the public in non-game day conditions but I want more. 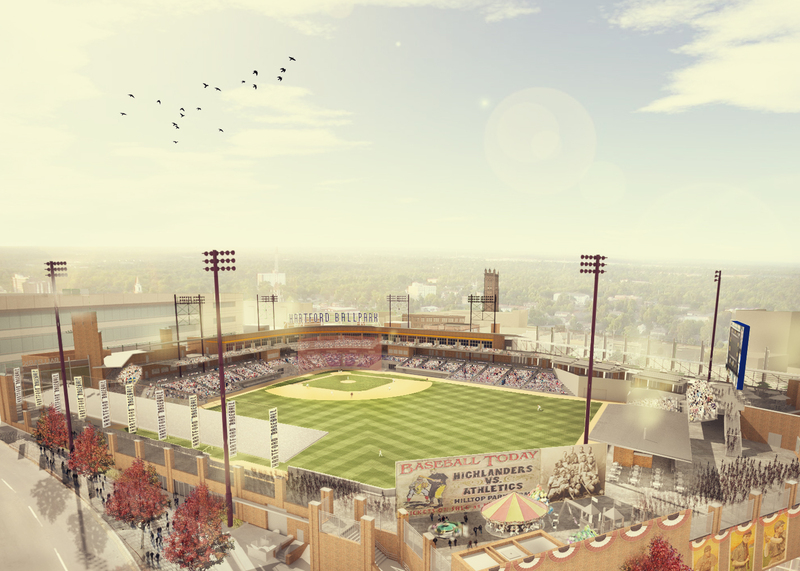 We proposed a truly blurred line ballpark concept to suburban Columbia, South Carolina back in 2005 that ended up being a vote or two short of reality (see opening image), yet the energy behind my thoughts then are slowly gaining ground again. Cities like Kannapolis, North Carolina recognize the benefits of making a big move, and they’ve certainly got a perfect shot at doing so, however now they have to make the right moves. 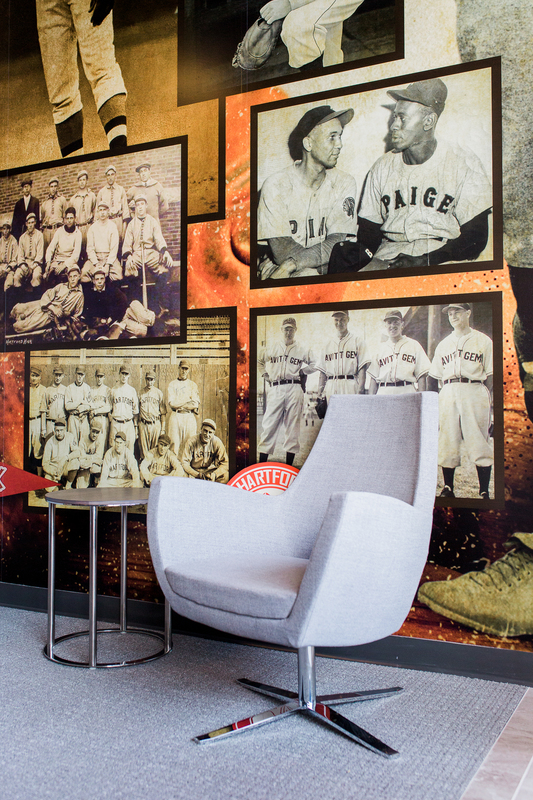 The real question that can only be answered in time is how will baseball respond to change? 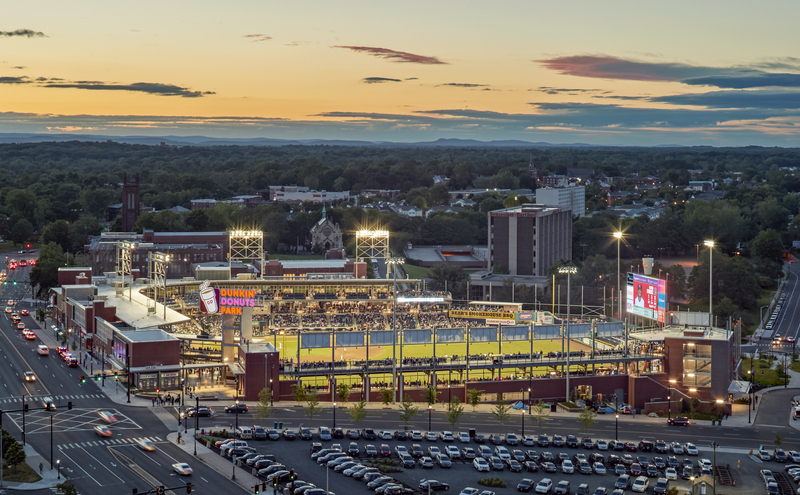 In my travels I continue to see aggressive interest in small to mid size markets that just want a small fraction of what MiLB has accomplished at a larger scale, yet access to the affiliated brand is incredibly limited. 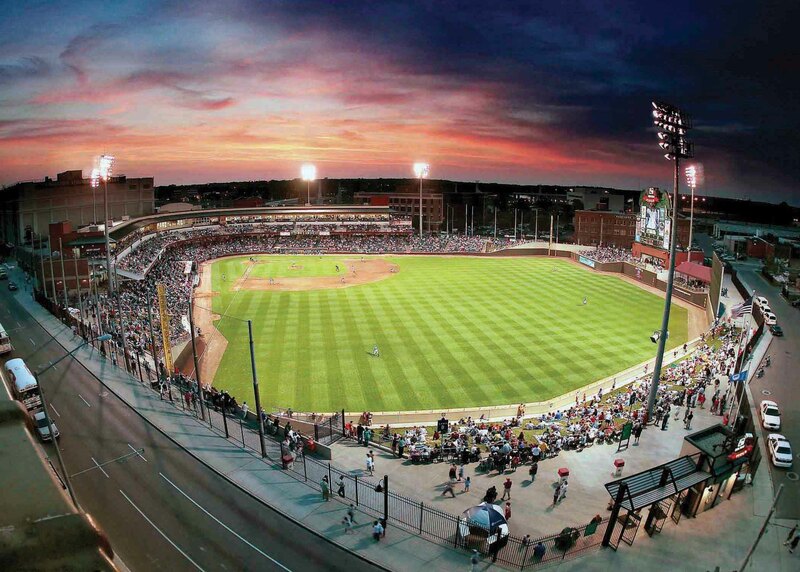 In all fairness the only opportunity for growth outside of expansion in virtually all of affiliated baseball is a change in venue, which we’ll continue to see here and there but I think soon investor’s hands will be tied, team valuations are at an all time high. I predict that we’ll see enhanced investment in college wood bat teams by affiliated brands similar to the Wisconsin Timber Rattlers who just launched a Northwoods League team in Fond Du Lac, WI. This leads me to believe that the demand for a “small park” business model will continue to grow. 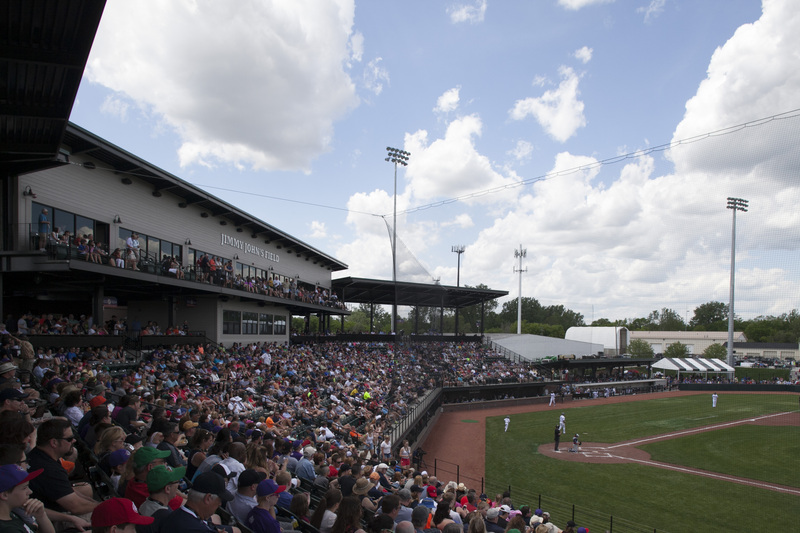 The recent completion of Jimmy John’s Field in Utica, MI (pictured above) is proof of this concept. 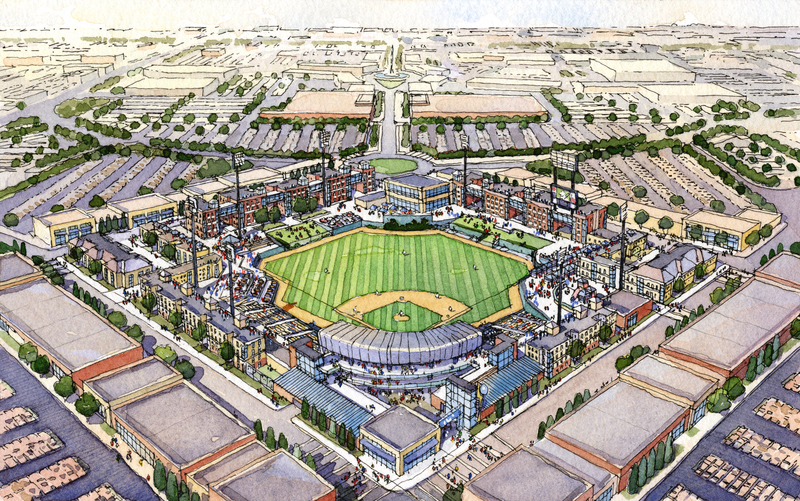 Although it is not an affiliated brand of baseball, and there have been a number of critics making their case based on this fact, the key to the United Shore Professional Baseball League (USPBL) is clearly the development of the next “right sized” ballpark to lesson the strain of three teams in a standalone venue. 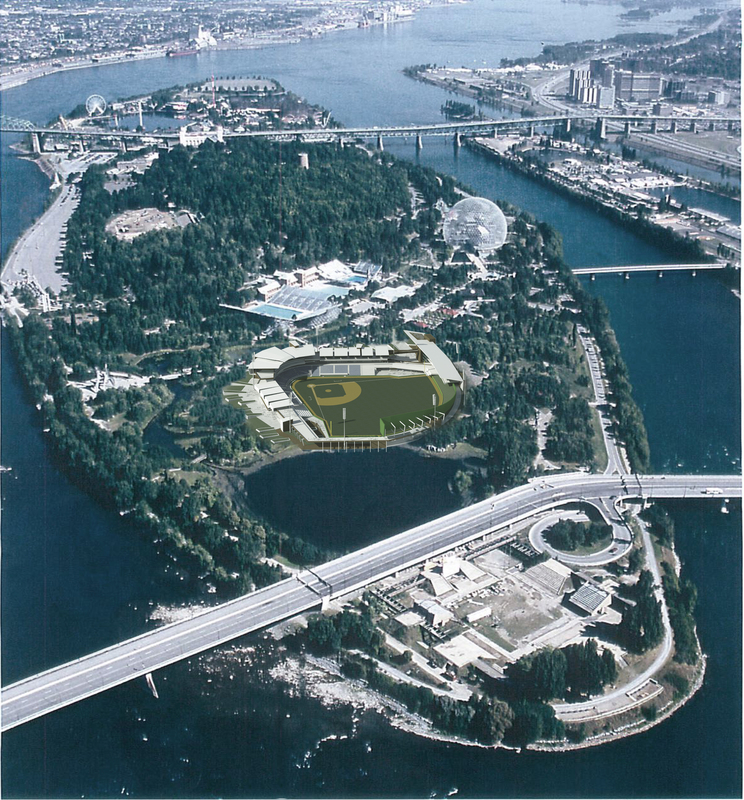 In 2010 we proposed a new Class AA ballpark for the Expo 67 site in Montreal Quebec Canada (pictured above) with the intent of placing technology at the forefront of our concept . 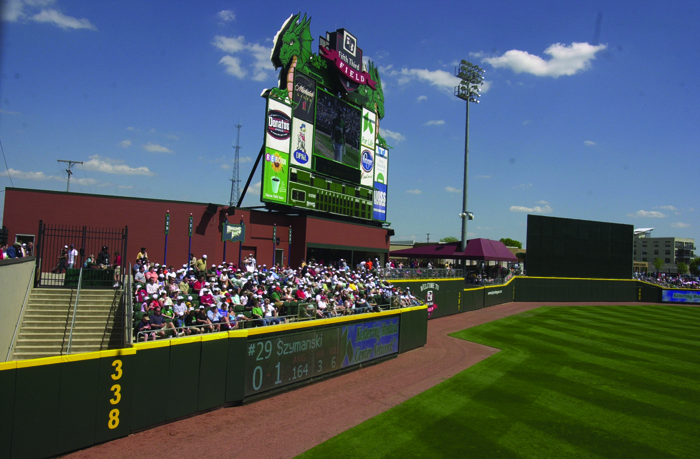 The field was to be heated, the warning track was equipped to flood for ice skating, the entire outfield – foul pole to foul pole would consist of towering multi-media displays integrated for use during ball games, concerts, hockey exhibitions, conventions, etc. Yet again the project fell victim to vacillating political will yet I think the spirit and intent of our thoughts then will start to emerge in ballparks to come. However, I predict emphasis will be less on just named advertising sponsor benefits, It think we’ll start to see more input, options, and control being offered to the consumer. The reality is that the majority of ballpark patrons have a smart phone at his/her disposal. This is certainly different from when I was an early teen – at best there was one “phone-in-a-bag” per household (if that), and the chance of me having random access to the only mobile phone in the house at that time was slim to none, it never left my father’s side. Today, in addition to “a” smart phone there’s more than likely a tablet, and laptop for each individual in the family. This begs the question, when are teams going to start truly capitalizing on this technology? In 2011/12 the Wisconsin Timber Rattlers out of necessity started offering app driven concession orders (due to limited points of sale). Patrons could order through the app and they would be texted when it was ready for pick up. 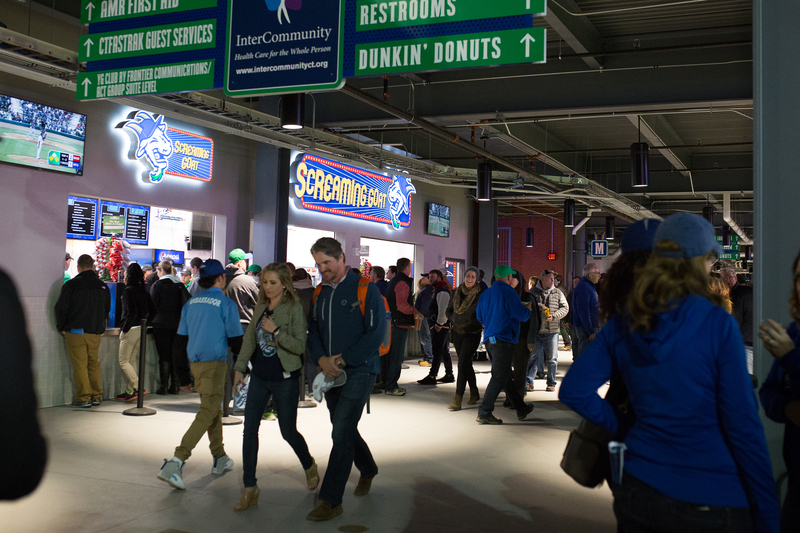 After we renovated the ballpark for the 2013 season we increased the points of sale by double and as revealed in our interview with team president Rob Zerjav in “The Details Episode One” , the new point of sale ratio was so good that patron’s use of the app dropped significantly. I think consumers are ready for the next round of innovation in ballpark offerings and integrated technology. I certainly have strong opinions on where I think things are headed and Bekin Technology in some form is at the top of my list. This type of technology reaches beyond simple bolt on solutions, for successful integration it’s going to take a collaborative effort across a number of disciplines (architecture, app development, environmental graphics, way-finding, acoustical engineers, lighting designers, artists, etc.). Most importantly it’s going to take thought leadership from the front office…we need you to not be afraid to look ahead and influence change. 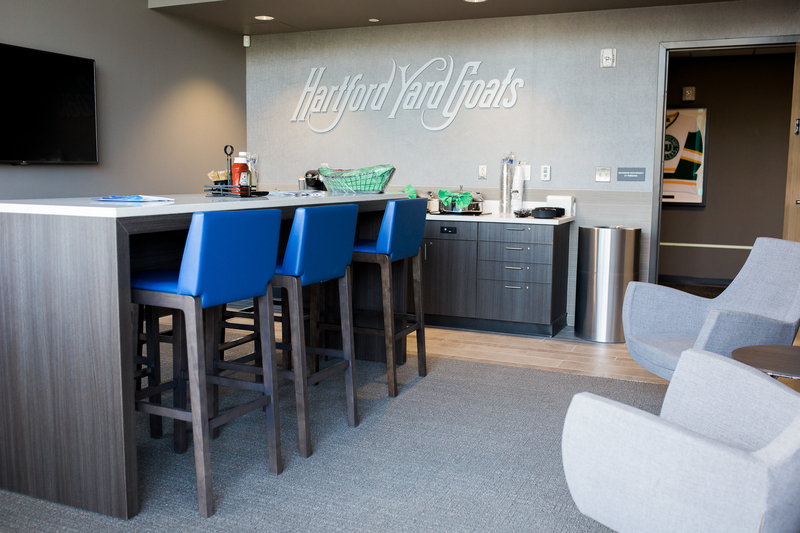 For this reason I think everyone should keep their eyes on the Hartford Yard Goats. 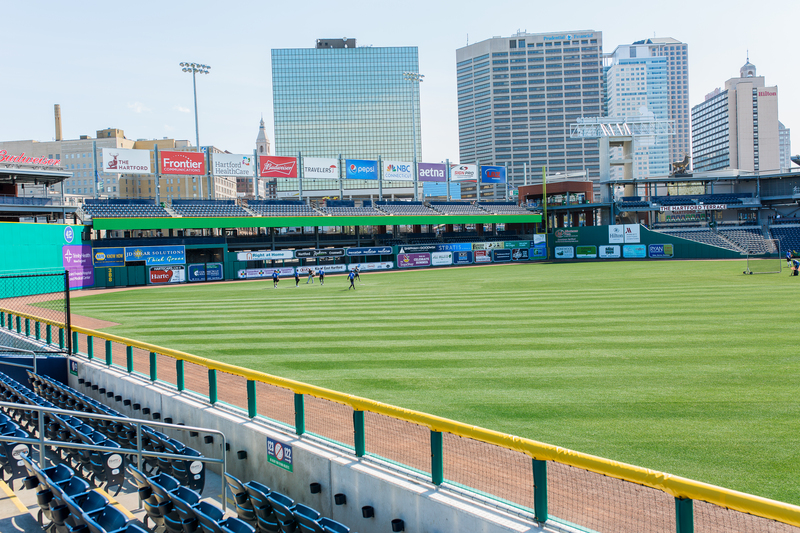 I’ve spent a lot of time with Josh Solomon and Tim Restall over the last two years and I can sincerely tell you that their organization’s willingness to put it all out there is refreshing, first and foremost for the Eastern League, but also for me as a sports architect. 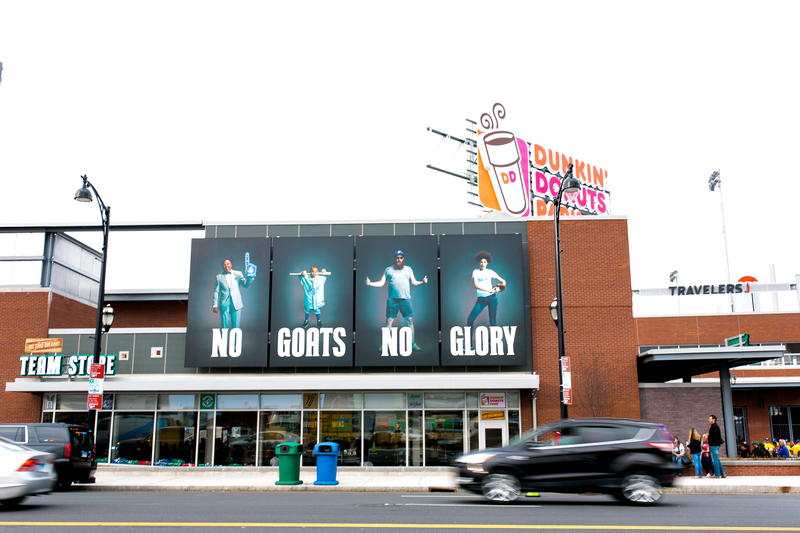 We’ve collaborated at length on ideas involving interactive digital directional messaging. Although we haven’t totally resolved the finished product for this coming season, the infrastructure is in place. 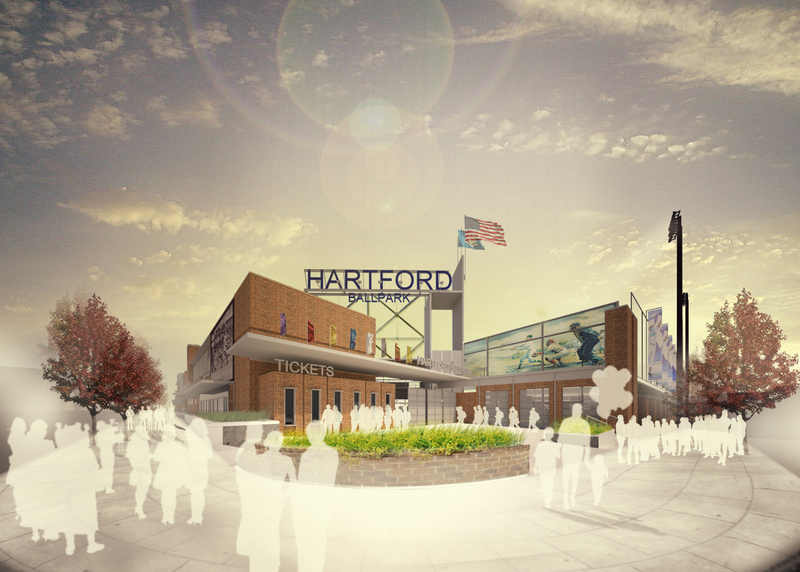 This leads me to the elephant in the room as it relates to the Hartford ballpark. 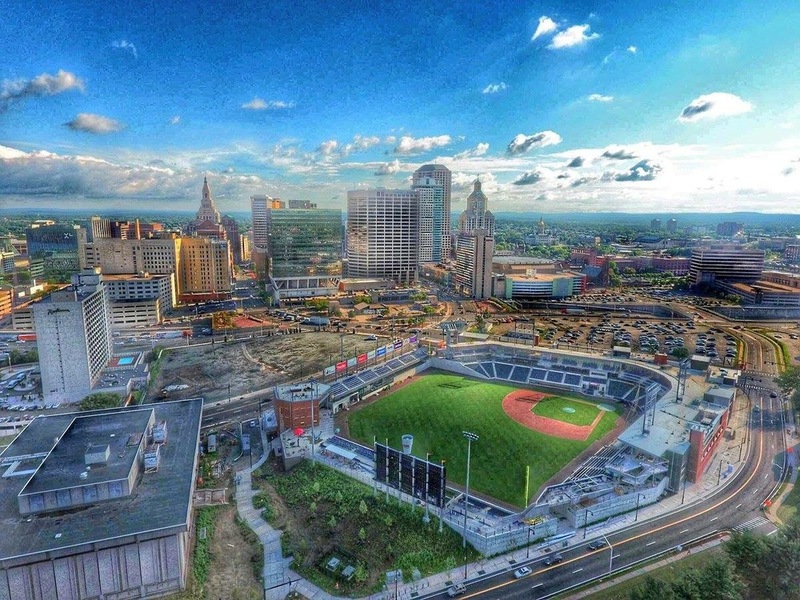 There’s been a lot of criticism regarding it being incomplete and the ongoing saga between key participants in the process, but if you can put your blinders and ear muffs on for a brief moment on April 13, 2017, I guarantee you’ll be impressed – Dunkin’ Donuts Park (pictured below) will be special. 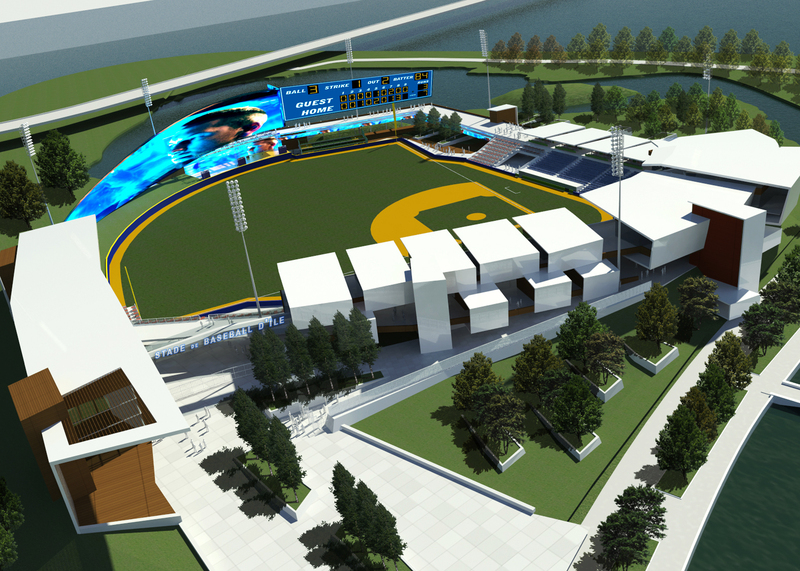 Ballpark design for the future as identified in this discussion will promote building smaller compact footprints as a key component in a larger context. Technology will be brought to the forefront and will promote more than just naming rights and advertising, the consumer will have an opportunity to jump in the driver’s seat with multimedia, concession, and merchandise. The data collected in this space should push per-caps to an all time high. That being said, yes…caution is warranted – we as designers and fans of the game have to make sure that we avoid trying to force the sport into being overly complicated and distracting; after all, our “emotional muscle memory” still craves baseball nostalgia so let’s not lose sight of the fact that this is still the perfect game…and at the end of the day, it’s about being sixty feet & six inches from the pitcher’s mound to the bag, and ninety feet between the bases. I don’t think we’ll ever see that change, and that’s a good thing. 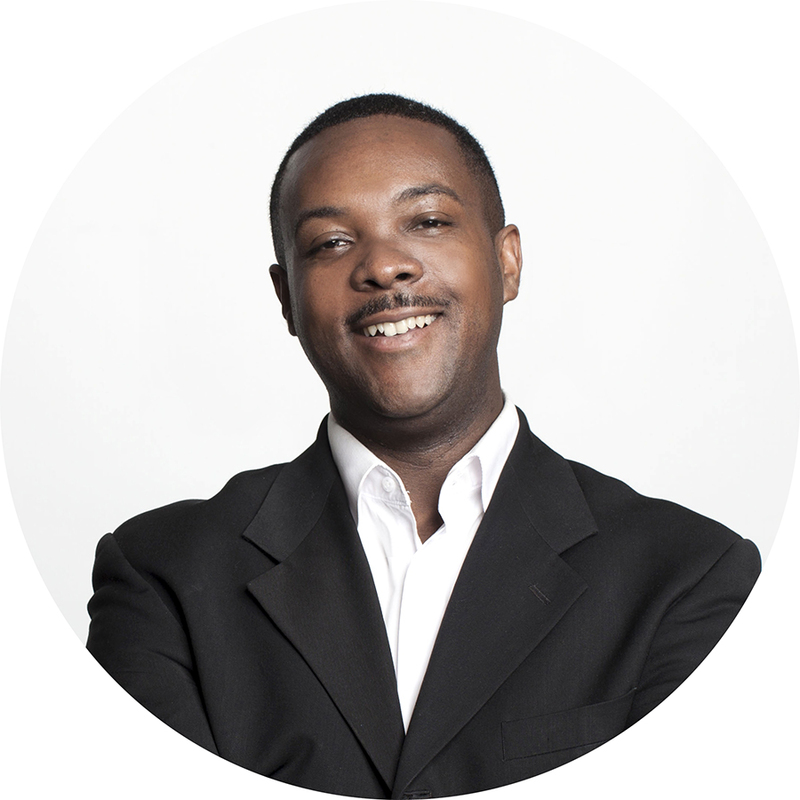 Jonathan Cole is one of the founding principals of Pendulum, a multi-disciplinary architectural practice based in Kansas City, MO. 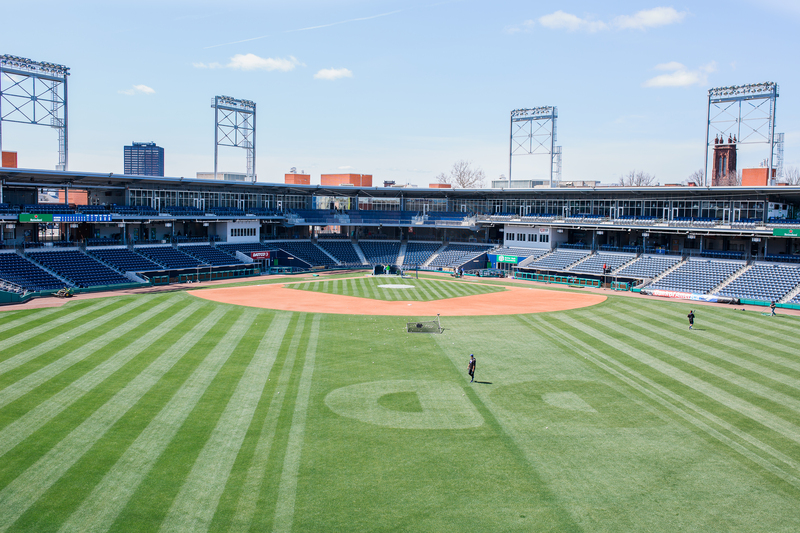 Jonathan has over twenty years of dedicated experience in design, documentation, construction and business practice associated with Minor League ballparks.